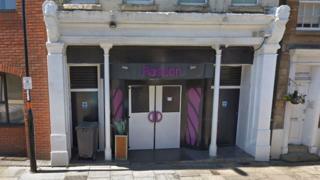 A nightclub where revellers smoked cannabis and a 17-year-old girl was allegedly sexually assaulted has been shut down for three months. Police asked the council to review the licence for Passion, in Northampton, after a number of serious incidents. The force said the club was "poorly run" and claimed the current supervisor was "not currently involved with the business beyond being a landlord". Passion has been approached for comment. Public papers show that on 15 July last year, Northamptonshire Police officers were called to the club to investigate two sexual assaults, the Local Democracy Reporting Service (LDRS) said. One of the alleged attacks took place on a 17-year-old girl while the other had just turned 18. PC Chris Stevens wrote: "On this occasion, neither female had been subject to any form of ID checks despite looking very young. "They had both reported drinking alcohol in the venue and being befriended by male customers before leaving the venue in their company. This shows a lack of management direction." A month before that, officers had been called to the club in Sheep Street to help disperse 300 people, but claimed there was "no support or action from staff". Two further visits were made to Passion in November and on New Year's Eve, when police said it was "very clear" staff were trying to mask the smell of cannabis with incense. Officers also recognised a man on the door who was "heavily linked to drug supply and possession". The decision to suspend Passion's licence was taken by Northampton Borough Council. Its licensing sub-committee also agreed to impose a series of conditions recommended by the police. The licence-holder has 21 days to appeal against the decision.